Is your ideal summer vacation a trip on the open seas, where lodging, food and most onboard activities are covered in one fee? Then it's likely you've considered a cruise. The thing is, so have many other people at this time of year. Is your ideal summer vacation a trip on the open seas, where lodging, food and most onboard activities are covered in one fee? Then it's likely you've considered a cruise. The thing is, so have many other people at this time of year: schools are out, days are longer and there's plenty of vacation time to burn. As the weather warms up, cruise prices don't always come down, but that's where U.S. News comes in. We've rounded up top bargains, discounts and promotions across different regions and cruise lines to highlight some of the best summer cruise deals for 2015. Note: All rates are per person, based on double occupancy. Taxes and fees not included. Prices and deals were correct as of March 30. If you're in the market for a quick getaway, a short sailing should do just fine. Expedia is offering a four-night round-trip cruise aboard the Norwegian Sky, with rates ranging from $259 to $519 for an inside stateroom and from $469 to $789 for a balcony cabin on sailings in June, July and August. Plus, booking through Expedia allows you to score extras like onboard credits and a free ultimate dining package that includes meals at specialty restaurants. That means dinners at select eateries are already covered in that cruise rate. You can bask in the summer sun by one of the pools on the way to the Bahamas, where excursions like jeep tours, stand-up paddleboarding and dolphin swims abound. West Coasters can get their fill of the high seas aboard the Carnival Imagination: a four-day round-trip Baja Mexico itinerary takes travelers from Los Angeles to Catalina Island and Ensenada, Mexico. Prices range from $279 to $429 for an interior cabin and from $589 to $889 for a suite, depending on whether you set sail in June, July or August. Though this is one of the smaller Carnival ships, Imagination is packed with amenities for cruisers of all ages to enjoy, including The Punchliner Comedy Club, Serenity Adult-Only Retreat, multiple pools, mini-golf and endless dining options. Save even more cash by booking an Ensenada excursion through independent activity website, Shore Excursioneer (rather than directly through Carnival), which often offers discounted rates and additional coupons. Need a break from the Big Apple? Norwegian Breakaway's seven-day round-trip cruise to Bermuda is calling your name. Prices for sailings in June, July and August start at $769 for an inside cabin and $1,249 for a balcony stateroom. This deal is also great for groups and families, as the third and fourth extra stateroom guests are half-price for a summer sailing. What's more, you'll also get the choice of free specialty dining, a free ultimate beverage package, and free room gratuities or up to $300 to use in onboard credit. One of Norwegian Cruise Line's newer ships, the Breakaway is equipped with 16 restaurants, multiple entertainment options and an Aqua Park. Plus, with temperatures in the 70s and 80s, summer is also one of the best times to visit Bermuda. You'll have a few days in port to explore the island's offerings, including Elbow Beach's pink sands and Warwick Long Bay Beach's practically crowd-free shores. A six-day round-trip Western Caribbean trip Carnival is offering in June boasts fares starting at $629 for an interior cabin or just $929 for a balcony stateroom. That's an estimated $105 or $155 a night, respectively. Plus, all meals at the main restaurant and casual eateries like Guy's Burger Joint and BlueIguana Cantina are included, and you're granted access to the multitude of amenities aboard the Carnival Breeze. The cruise line's largest and newest ship, Breeze is home to an abundance of eateries, the popular Cloud 9 spa and an expansive pool area with waterslides. All that money you save on the cruise fare you can spend on excursions like ziplining through the jungle in Jamaica or swimming with dolphins and stingrays in the Cayman Islands. Book an August trip aboard the Navigator of the Seas: This Royal Caribbean ship is sailing a seven-night round-trip Western Caribbean cruise from Galveston to Cozumel and Central American vacation hot spots Belize and Honduras, with prices starting at $428 for an interior cabin and $760 for a balcony cabin. Adventure-seekers can schedule in-port activities like rainforest hikes and snorkeling tours, while culture hounds should plan to see Chichen Itza's Mayan ruins and the pristine shoreline and two partially visible shipwrecks at Las Palmas beach. You'll also have two days at sea to experience everything on board, from the rock-climbing wall and salsa dancing lessons to the large pool deck and casino. Transform your tax return savings into a summer getaway to ancient ruins, historical sites and authentic cuisine with the latest promotion from Celebrity Cruises. The seven-night Greece & Italy cruise aboard the Celebrity Equinox starts at $949 for an inside cabin for the July 18 sailing, which departs from Istanbul and concludes in Rome. But if you want a little more space, spring for a room with a veranda for $1,449 and you'll be rewarded with a free classic beverage package, $300 in onboard credits and free gratuities on top of the $200 discount on the original cruise price. A fairly affordable cruise line based in Europe, Costa Cruises is touting 60 percent off its eastern and northern European cruise to Helsinki, St. Petersburg and Tallinn. The seven-night round-trip cruise departs from Stockholm in late May, with rates starting at $849 for an interior stateroom and $1,499 for a veranda category cabin. The Costa Luminosa cruise includes events like the Captain's cocktail party, a welcome buffet and a gala dinner, not to mention a wealth of onboard entertainment and amenities, such as musical shows, pools, a 4-D cinema, a dual-level spa and four restaurants. Summer is one of the best times to visit Alaska: temperatures are comfortable (hovering in the 60s), hours of daylight increase, wildlife is abundant and calm weather paves the way for smooth sailing. For a seven-day round-trip August cruise aboard the Ruby Princess, you can score an interior room for $699 or spring for a balcony cabin for $1,329, which boils down to around $100 and $190 per night, respectively. For comparison: Typical Princess summer cruise rates for seven-day June and July Alaskan itineraries are closer to $800 for an inside cabin and $2,000 for a balcony stateroom. 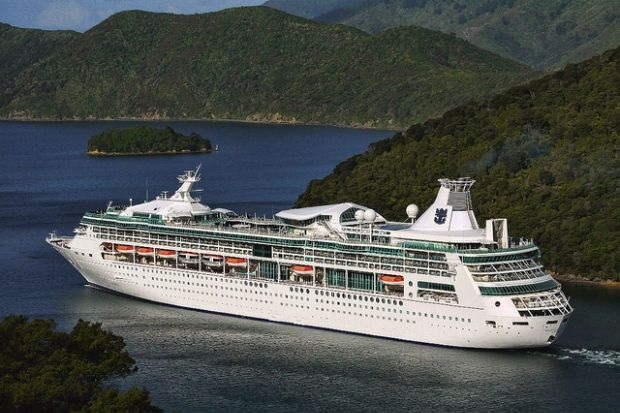 And on board this Princess ship, your fare covers anytime or traditional dining in the main restaurant and 24-hour room service, activities like Movies Under the Stars, zumba classes and trivia, and entertainment acts like comedy shows and theater productions. Alaskan cruises are obviously big draws for nature lovers, so be sure to bring your camera (or brush up on how to take great photos with your phone) for photo ops of the Tracy Arm Fjord and the Mendenhall Glacier. Orbitz is running a deal for a seven-night Glacier Discovery Northbound cruise (starting in Vancouver and ending in Anchorage) aboard Holland America Line's ms Oosterdam ship in July or August. Interior staterooms start at $799 and balcony cabins start at $1,399. By booking on Orbitz, you'll score bonus perks like a coupon for a free shore excursion and a booklet for onboard savings. And when you're not admiring Alaska's Inside Passage, you'll have plenty to do on board: This Holland America vessel houses a spa, a casino, two pools, a piano bar and a show lounge. When you're in port, take advantage of the unique adventure tours Alaska has to offer like kayaking in Juneau, rock climbing in Skagway or bear-watching in Ketchikan.